Chef E.J. Miller has a long relationship with food that was first inspired by his aunt’s hospitality. To him, his aunt cooks the perfect home cooked meal from heart (she never uses a recipe!) and never lets anyone leave hungry. Through his years of cooking he brought the concept of quality home cooked meals with him. It was during his time at Down House he began to build lasting relationships with local farmers and ranchers. This influenced him to use the best locally sourced ingredients in his dishes. Now he works as Executive Sous Chef at Riel with Executive Chef Ryan Lachaine focusing on food that represents both Riel and the food purveyors they work with. As an avid fan of punk, hip-hop, and bourbon, listen in to find out how his years in punk bands actually help him in the kitchen, what karaoke bar to go to find him singing Boys 2 Men, and the Houston spots you should eat at. 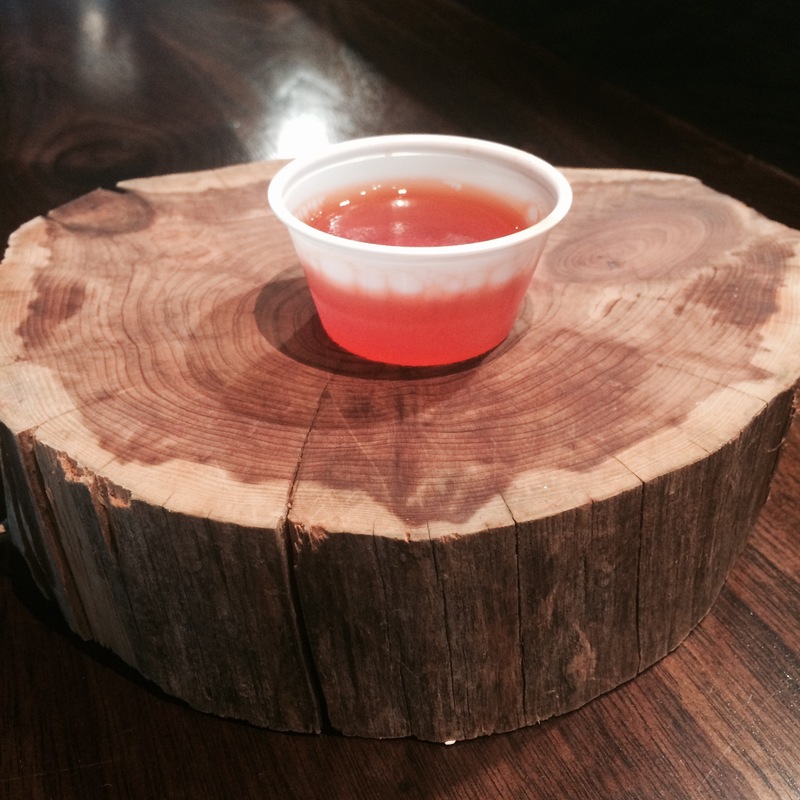 And don’t forget to order the Jell-O Shot next time you dine at Riel! 2) While blooming gelatin combine sugar, bitters, and ½ cup of water in a medium saucepan. Bring to a boil over medium-high heat, stirring occasionally. 3) Reduce heat to low. Add soda water and bloomed gelatin. Stir constantly until gelatin is dissolved, about 2 minutes. 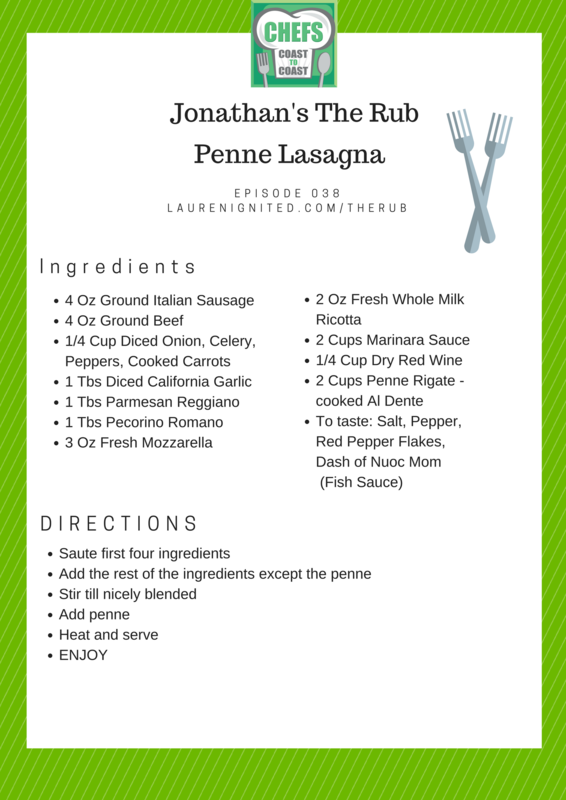 5) Pour into 2 oz portion cups and refrigerate for 3 hours, or until fully set. Connect with Riel on Facebook. Don't forget to catch up on past episodes or subscribe on iTunes or Google Play! We are now sponsored by Audible and happy to announce that you can now download a free book of your choice! Happy Reading! Thanks for tuning into this week's episode of Chefs Coast to Coast!